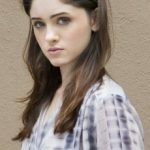 It was in 2009 that actress Natalia Dyer got her start, playing Clarissa Granger in the movie Hannah Montana: The Movie. In the 2010s, she acted in the films The Greening of Whitney Brown, Blue Like Jazz, I Believe in Unicorns, and Till Dark. She also acted in some other independent films. 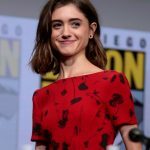 Her major breakthrough came shortly after when she landed the role of Nancy Wheeler in the Netflix series Stranger Things. She will reprise her role in the show’s upcoming third season. For her role as Nancy, she got a nomination for Best Performance in a Digital TV Series or Film—Teen Actress at the Young Artist Awards. With her new-found fame, Dyer also landed more roles on the big screen. She has a couple of upcoming movies this year, including the horror feature Velvet Buzzsaw. Next year, she will star in the film Yes, God, Yes. She may be young but the Stranger Things actress already takes care of her body and her overall health through a clean and healthy lifestyle. Aside from making sure that she follows a clean diet plan, she also makes sure that she stays active by exercising. While she doesn’t perform any intense workouts, the actress makes it a point to move her body either by going to the gym or as simple as just walking. Being on-the-go recently, Natalia is also busy so that sort of serves as her workout, too. When she was asked how she practices beauty inside and out, the young star answered: “I generally eat healthy and feel great after a good sweat. But I think the most beautiful thing is being happy – it really shows when someone is genuinely happy – so I do try to practice everything in moderation and listen to what my body wants.” Wise words from a 21-year-old.